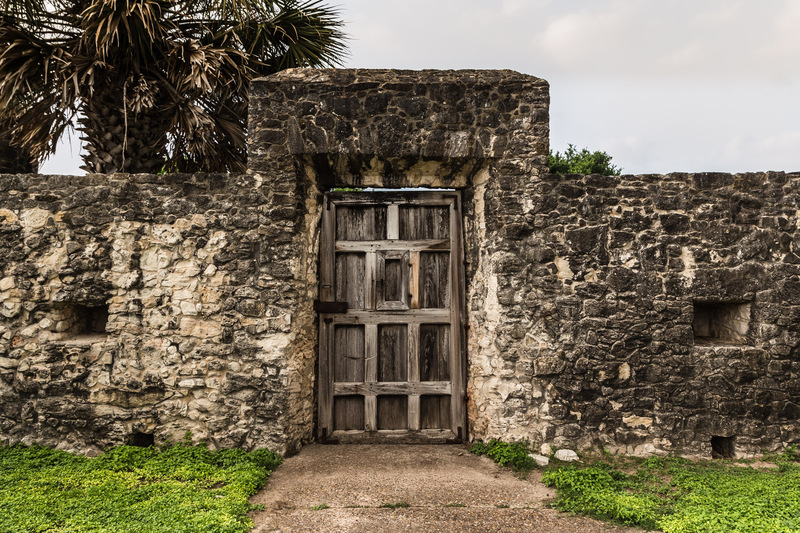 The most interesting part of our overnight stay at the Presidio La Bahia, a historical military fort in Texas, was being able to explore the grounds! 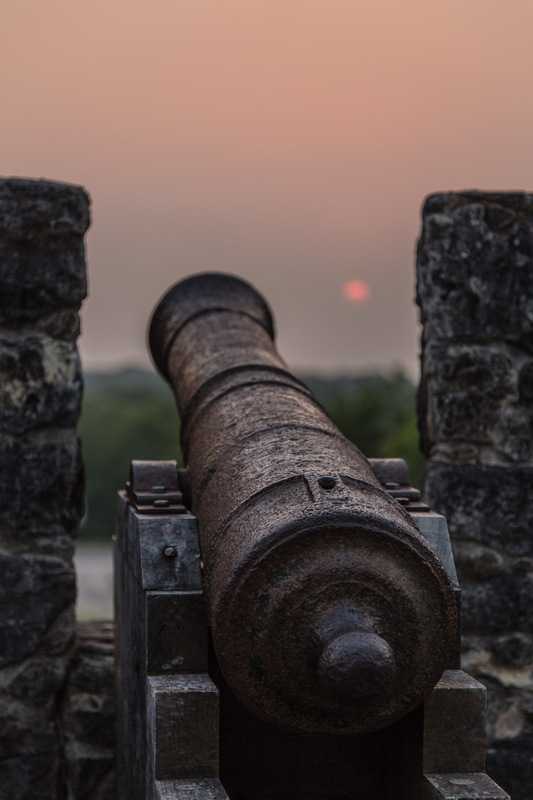 After settling in at The Quarters, the two bedroom apartment within the walls of the fort which you can view here, we decided to go on a self-guided tour of the property. 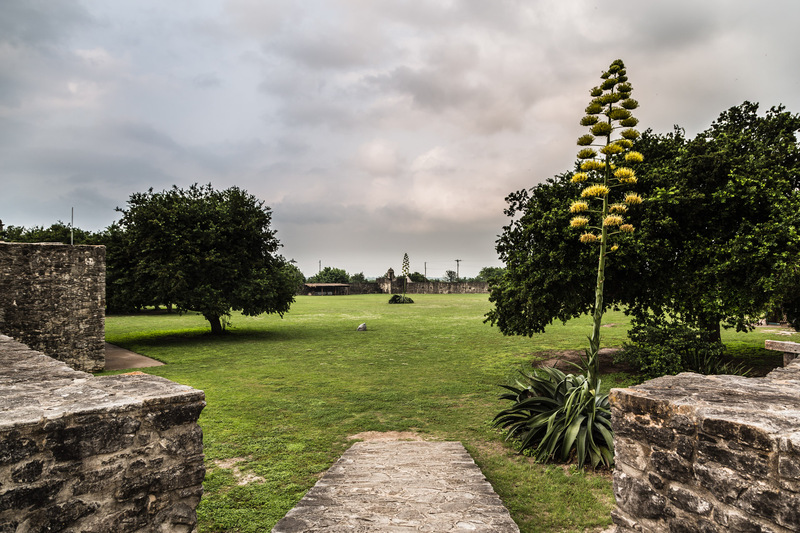 From the small courtyard in the front with the chapel to the large courtyard in the back with the green space, we were immediately drawn to the natural beauty of the vast landscape. The massive trees…the unique plants…the breathtaking stone work…the impressive wooden doors/gates…it was all so amazing. In a way, it felt like a peaceful park. Though we have to admit that there was a sense of eeriness hovering over us like the storm clouds that were starting to develop in the sky. 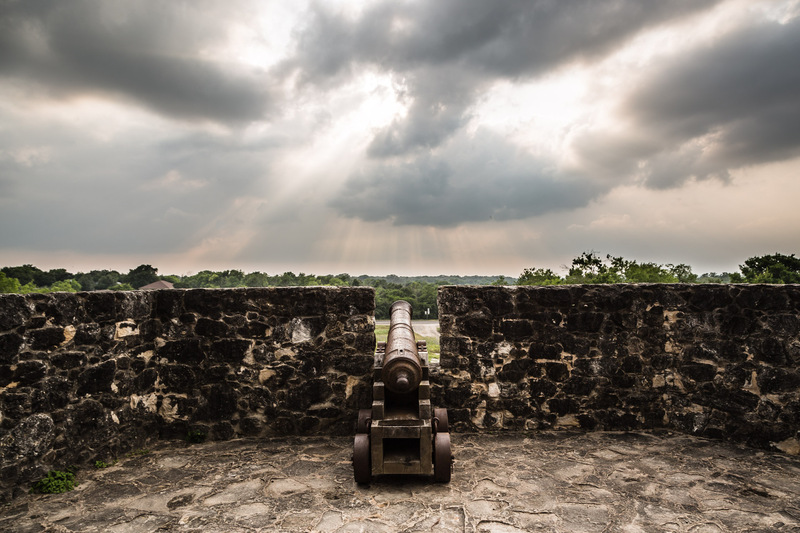 It was nearly impossible for us to ignore this land’s violent past. 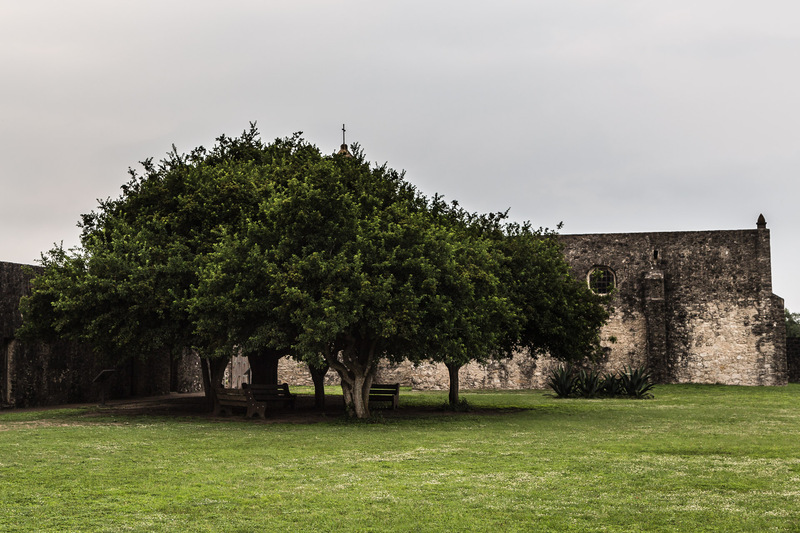 So let us give you an abridged version of the Presidio La Bahia’s history. 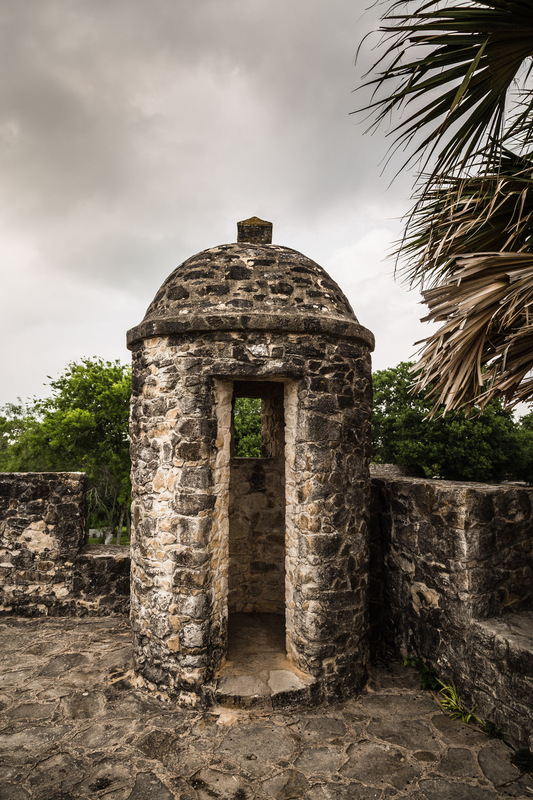 The Presidio La Bahia was first built as a Spanish mission and fort in the 1700’s. 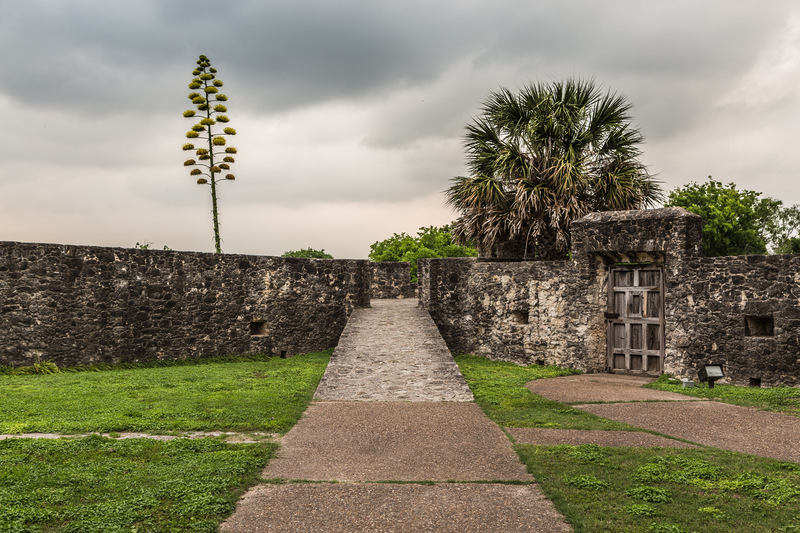 Later, in the 1800’s, the Presidio La Bahia became part of Mexican Texas. 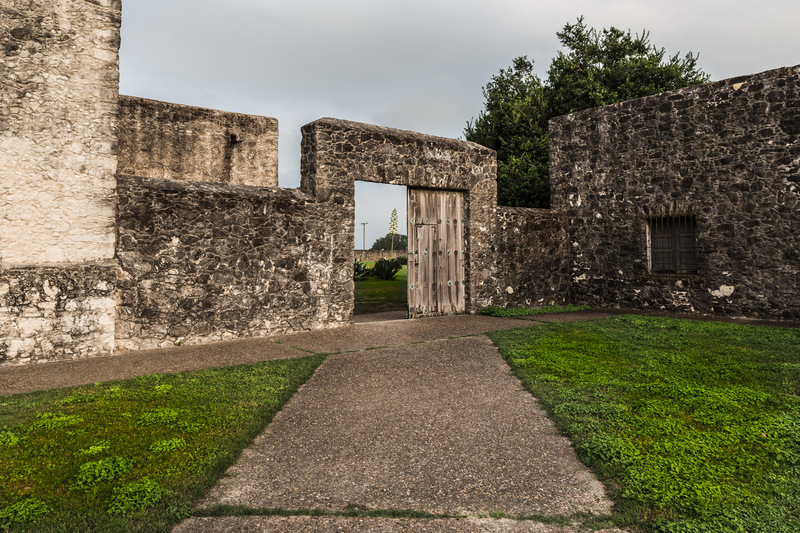 However, during the Texas Revolution, Texians attacked the fort and captured the property in which Colonel James Fannin became the commander of the Texian troops at La Bahia. 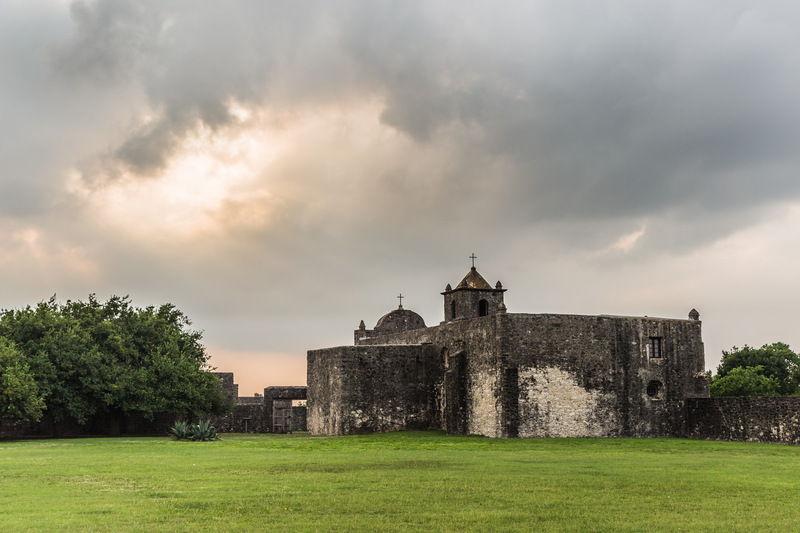 In order to put an end to the Revolution, the Mexican army fought back and after the fall of the Alamo (another fort and mission located in San Antonio), Colonel Fannin was told by General Sam Houston to abandon La Bahia. When they left, they were soon attacked by the Mexican army and were brought back. 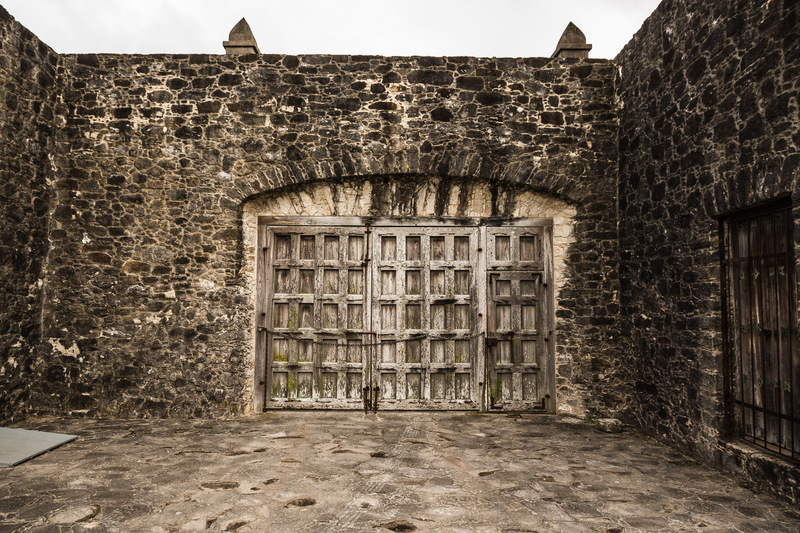 They were held for a week before Mexican President Antonio López de Santa Anna ordered them to be executed. 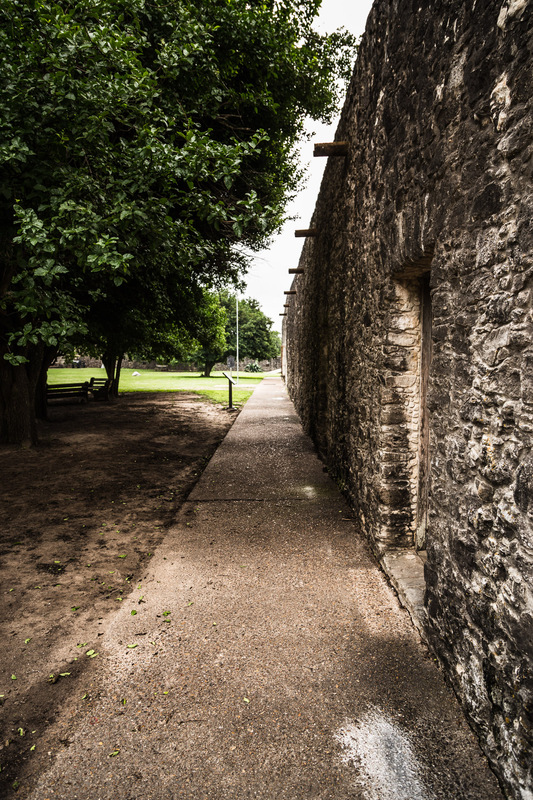 Many of the men were marched out of the fort and shot, while the wounded including Colonel Fannin were shot at the chapel. 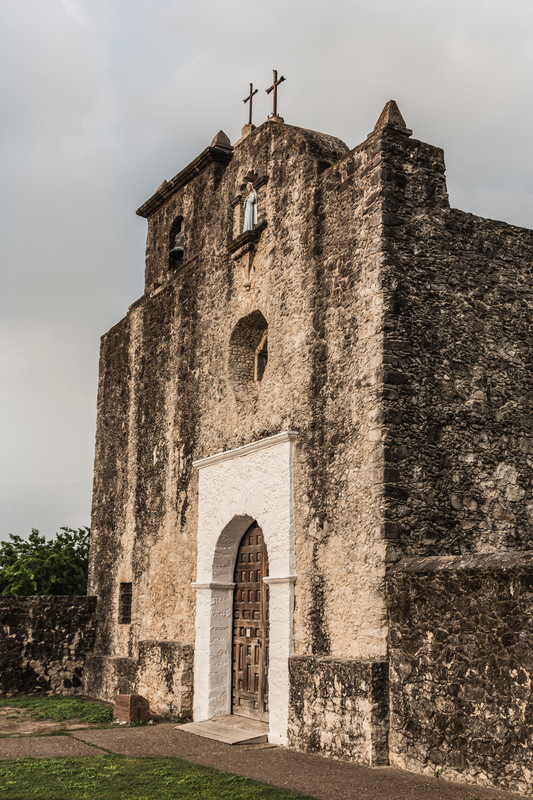 Known as the Goliad Massacre, 342 men in total were killed. 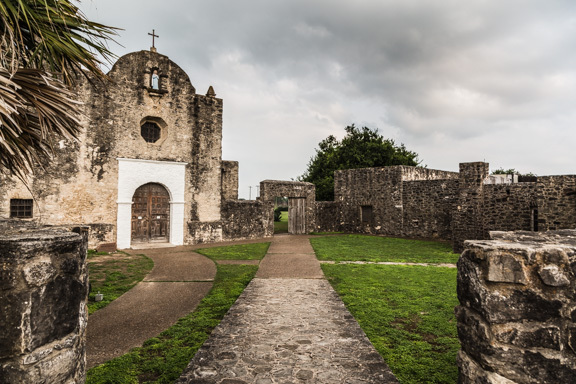 However, there was a victory at San Jacinto and the Texans won their independence which ultimately made the Presidio La Bahia a property of Texas-Americans. 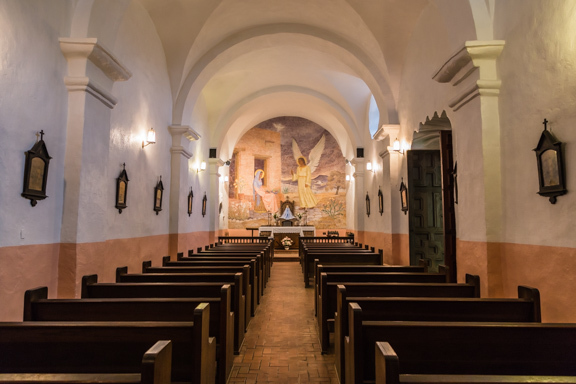 The chapel was restored first and became property of the Catholic Church, but the fort was in ruins until the 1960’s when a restoration project was funded. 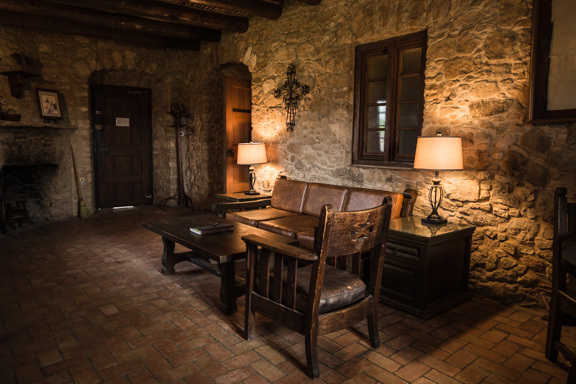 For more history information, we highly recommend taking a look at the Presidio La Bahia website. Also check back later for photos of the chapel’s interior! 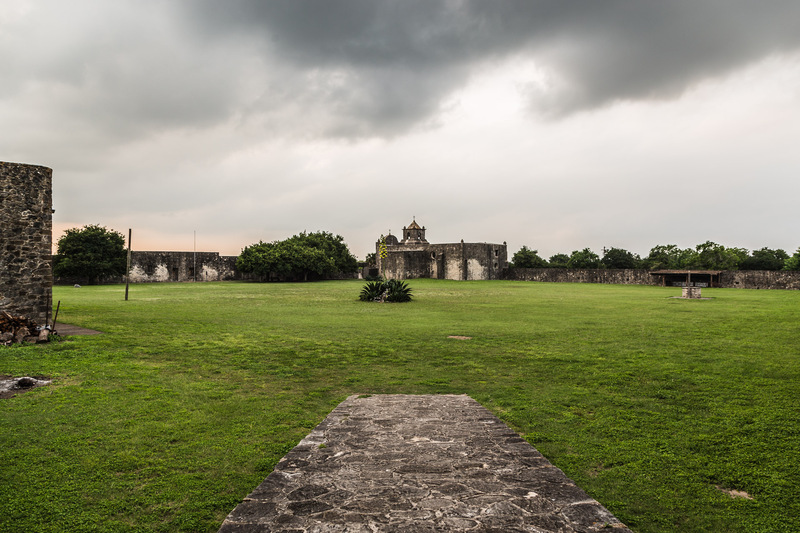 What do you think of the grounds of this military fort? Leave a comment…we would love to hear what you think!